Radio Fredericton, also called on air as CJPN-FM is one of the top Canada-based radio station serving the people of Fredericton, New Brunswick. In 1996, Radio Fredericton Inc. was authorized to set up a new French Community FM station on frequency 90.5 MHz. And in the following year, the CJPN got on the air for the first time having studios in Le Centre Communautaire Sainte-Anne. The channel broadcast Contemporary hit radio format and programming in the French language. 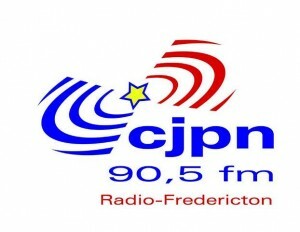 During June 2013, the CJPN New Brunswick announced that the channel would be closed because of some economic problems. But In August 2015, Radio Fredericton stated that the channel has cleared all of its debts and will continue to broadcast. Wait for a second as the online stream of the channel will take some moments to get ready. Citizens in the city can adjust the frequency of their radios to 90.5 MHz to enjoy the fresh tracks of the Contemporary hit and French Music. Online fans can listen live 90.5 Radio Fredericton, NB online streaming from the official site. CJPN-FM site is available in both English and French languages. The visitors can read out the local news and national news from the website. Explore contests, read out contest rules or participate to win prizes. Samuel Rodrigue, Rosalie “Croquette” Simard, Mariama Baldé, Étienne Deveau-Beaumont and Michel Savoie are the DJ’s of the 90.5 Radio. Follow the channel on Facebook and Twitter.